The Waterford Distillery, has announced that it has successfully distilled 10,000 bulk litres of spirit, using an unusual heritage grain that has not been available to the industry for 40 years. 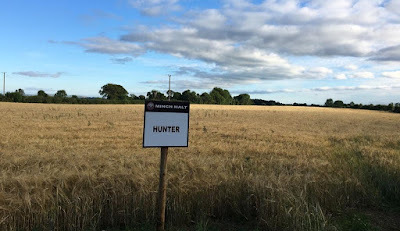 The “Hunter” grain variety, which was introduced in 1959 and last used in 1979 when it fell out of favour, was named after Herbert Hunter in recognition of his contribution to barley breeding at the Cereal Station, run by the then Department of Agriculture and Technical Instruction in Ballinacurra, Co. Cork. This is the first in the distillery’s planned production of spirit from newly accessible heritage grains, in a journey to explore what flavours were available in the past. Most modern barley varieties are produced with grain yield in mind, not flavour, so the distillery aims to discover if a more flavoursome whisky can truly be made from these old varieties. Through a partnership with maltsters, Minch Malt, and following the distillery’s production of Ireland’s first organic and biodynamic whiskies, Waterford Distillery is demonstrating once again that their terroir-driven production methods places them at the forefront of a new generation of spirit distillers. Widely missed by brewers and distillers, and now accessible again, the “Hunter” grain variety accounted for 75% of Irish malting barley purchases by 1966. 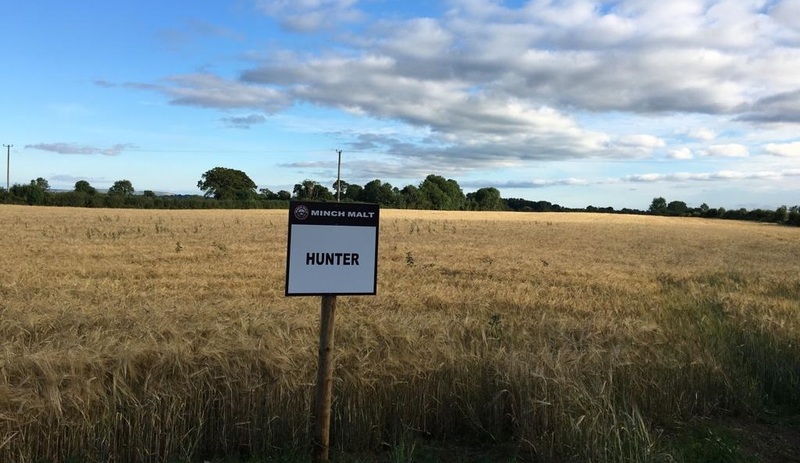 Hunter’s dominance of the Irish malting barley industry continued up until 1978-1979, when it was replaced by Ark Royal and Triumph varieties, both of which possessed significantly higher grain yield potential and better resistance to fungal diseases. In addition to their regular distillation programme, Waterford Distillery has plans to distil more heritage barley varieties, including grain that has not been used in brewing and distillation for over 100 years.